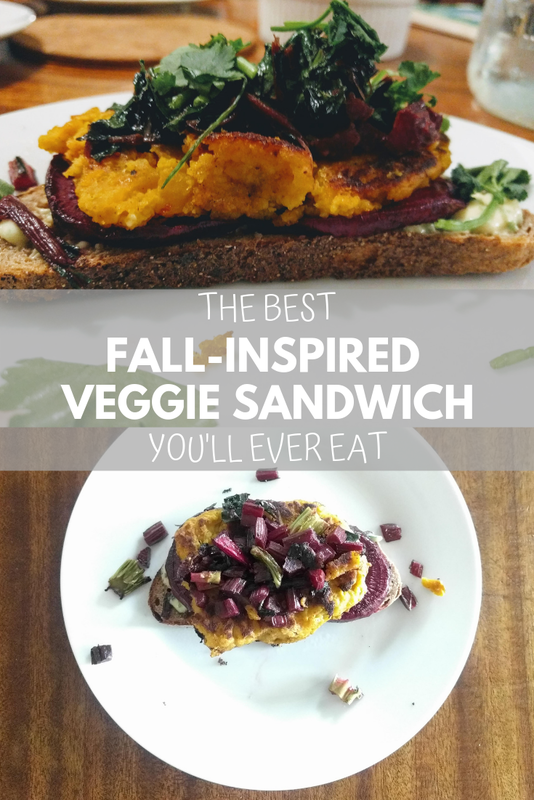 I don’t know about you, but I love it when a meal comes together like these veggie sandwiches did. While it would have taken hours to prepare them from scratch all at once, it only took 45 minutes to put everything together since most of it was ready and waiting in the fridge. This is not so much a recipe for how to make this exact sandwich, but more of a lesson about what can happen when you do a little meal prep and watch it all come together for a delicious and healthy meal. I’m a big fan of preparing ingredients ahead of time so that preparation for each individual meal doesn’t take long. I don’t have three hours straight to devote to dinner prep each day (who does?). Everyone has their own restraints though. The best we can do is make use of what we have. And if you don’t have time to make everything from scratch, don’t feel guilty buying from the store. When you buy pre-made items from the store, I would recommend that you check the ingredient label. You might be surprised at what you see! If you’re looking for ways to save time in the kitchen, check out my post on Essential Time Saving Kitchen Tools. 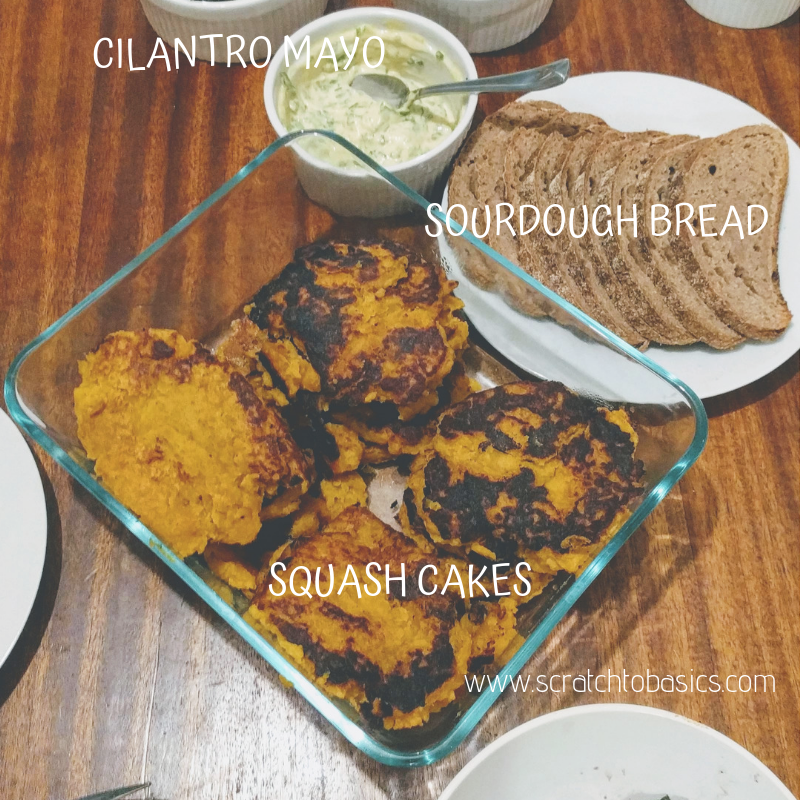 This veggie sandwich came together with the help of mayonnaise made earlier in the week, and already baked squash. 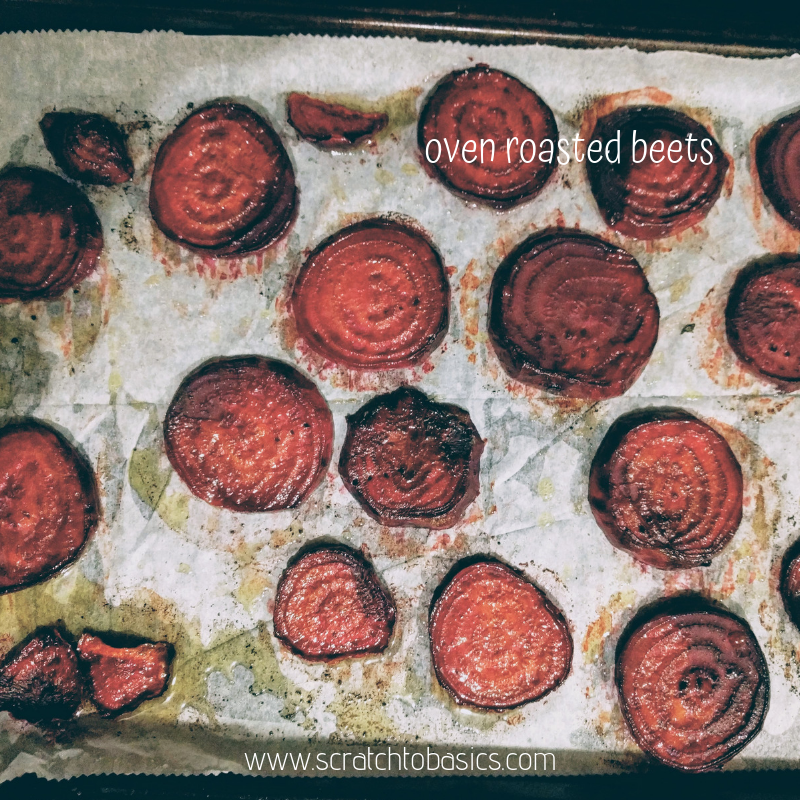 Confession…this was my first time cooking beets…ever. Can you believe that? Honestly, I’ve been a little scared of them. I tried a salad with beets several years ago, and haven’t been motivated to try them since then. In fact, I’ve just about run in the opposite direction. I’ve been hearing about the great health benefits of beets lately. And how if you cook them right, they taste delicious and sweet. The beets that I tasted years ago were anything but delicious and sweet. Well, I figured I’d give them a try. Even if they turned out bad, I was hoping I had enough other flavors to hide their taste. If you’re like me and have been running from beets. Give these a shot. They were great on the sandwich, and I even ate a few of them by themselves. And if you want more beet recipes, check out these beet chips. Yumm! Wash and peel the beet roots. Slice them evenly then drizzle oil and sprinkle salt. Cook at 425 for 15-20 minutes. Cook until you can pierce them easily with a fork. Or you can cook them a little longer if you like them a little crispy. It took ours about 15-20 minutes to look like this. Note: Using a mandoline will guarantee evenly sliced beets. Since this post, we’ve added a mandoline to our kitchen and love the ease and uniformity it provides. Optional: You can also cook the beet stems and leaves – I chop the stems first, saute for a few minutes until fork tender, then throw in the leaves for a minute to soften them. I had cooked a squash earlier in the week and put it in the fridge until I had a way to use it. Use what you have. I tried a new variety of squash, and it turned out pretty dry. Butternut squash, acorn squash, or a different winter squash will work just fine in this. Like I said, my squash was pretty dry, so I needed to work in some moisture. With my immersion blender I combined the squash meat with coconut milk until it was a better consistency (not too watery, but more like a thick mashed potato consistency). I added two eggs, some salt, and two teaspoons of my chai spice blend. (If you use spices like cinnamon, ginger, cloves this time of year, this blend is awesome. It’s already made up in good proportions and it’s been awesome to have on hand.). Scoop the squash mixture onto a hot pan and cook them on the stove top on medium heat until they’ve browned on one side. Then flip them to cook the other side. The cilantro mayonnaise spread is key to this sandwich. Creamy, tangy, delicious. We make our own mayo, because we love to be able to customize the flavor and choose which oils are in it. Most, if not all, of the store bought mayonnaise I’ve seen uses hydrogenated oils like vegetable and canola oil. If you make mayonnaise from scratch (which only takes five minutes), you can decide what goes in, and what doesn’t. Combine a handful of cilantro with about a 1/2 cup of mayonnaise. Combine with a couple shakes of garlic powder and a sprinkle of cayenne (cayenne is optional, the amount is totally up to you…depending on how spicy you want it). Use your preferred bread. We used whole wheat sourdough, and it tasted great. I’m sure other bread choices would be great, too. When cooking from scratch, I find that things go much smoother if I use my time throughout the week to prepare ingredients ahead of time. This meal is an example of something that came together quickly and tasted fantastic. But without those made-ahead ingredients, it wouldn’t have been possible. Bread…then mayo…then roasted beets…then squash cake…then beet greens…then cilantro garnish. Maybe this sandwich isn’t exactly what you make tonight. But I hope you see the strategies of making pieces ahead of time and combining them all for a delicious meal. Happy cooking!